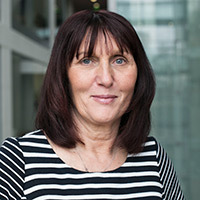 Professor Debra Salmon, Deputy Dean in the School of Health Sciences at City, University of London, has been awarded a leadership scholarship for aspiring deans. The award was made jointly by the Florence Nightingale Foundation and the Council of Deans of Health. The scholarships are aimed at senior educators who aspire to take on a role as a dean of a university faculty with nursing, midwifery or allied health professional programmes. It offers up to £15,000 of funding and aims to enable the awardee to take their career to the next level. Professor Salmon will join the cohort of Florence Nightingale Foundation leadership scholars and have the opportunity to build a network with senior leaders across a range of healthcare settings. The award is intended to enable the recipient to define long-term career objectives and maximise professional impact, as well as offering the chance to work on an individual improvement project within their institution.